If you've been making plans to eat better, now may be the time. Whether to remove a tumor or clip off an aneurysm, brain surgery is a serious procedure that requires cutting through your scalp and skull to get to the affected area. What you eat not only promotes the healing not only of your skin and bone, but also of your brain. While an overall healthy diet that includes a variety of foods from all the food groups is recommended, for brain health be sure to include foods rich in omega-3s and vitamin E. Consult your doctor or dietitian to discuss your specific diet needs. To make sure you get all the nutrients your body needs for healing, it's important that you follow a healthy, well-balanced diet that includes fruits, vegetables, grains, dairy foods and healthy sources of protein such as beans, poultry and fish after surgery. You also need to make sure you get enough calories, protein and calcium, which you have an increased need for following your brain surgery. Low-fat or fat-free milk and yogurt can help you meet both your protein and your calcium needs. Other good sources of calcium include fortified orange juice or soy milk, leafy greens, broccoli and almonds. Your doctor or dietitian can help you determine your additional nutrient needs. Omega-3-rich foods are especially important following brain surgery. According to a 2008 article published in Surgical Neurology, omega-3 fatty acids improve cognition, plasticity and recovery of your neurons after a traumatic brain injury, which may include brain surgery. As an essential fat, your body cannot manufacture omega-3s, and you must get them from food. Good sources include fatty fish such as salmon and halibut, flaxseeds, soy oil and walnuts. Making sure you get good food sources of vitamin E in your diet following brain surgery is also important. As an antioxidant, vitamin E protects your brain cells from free radicals, which may impair the repair process, according to the authors of the article in Surgical Neurology. Vitamin E may also play a role in neurological performance and function. Wheat germ, almonds, sunflower seeds, spinach, broccoli and kiwi are good foods to include in your diet to help you meet your vitamin E needs for brain healing. Curcumin is the active ingredient in turmeric, which is the spice that gives curry its distinctive flavor and yellow color. 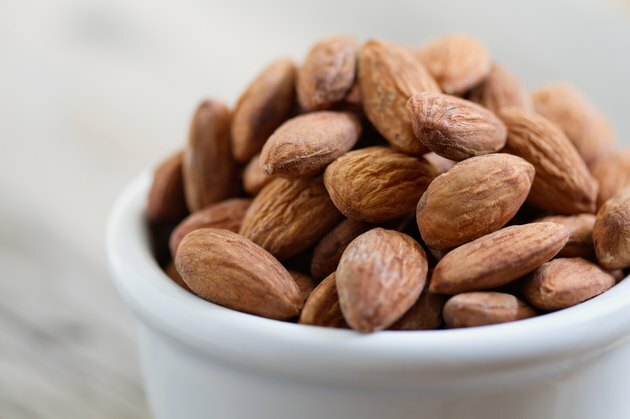 This substance is a powerful antioxidant and may also help the body fight inflammation, according to the University of Maryland Medical Center. Curcumin may also help improve recovery after brain trauma and may be especially helpful in cognition recovery after your surgery. You can add turmeric not only to curry but also to any savory dish such as eggs, lentils or rice.